Does illegal street art amuse or annoy you? Graffiti on walls is appealing to some and an eyesore to others, but it is hard to find legal art on the street like this to be anything but impressive. 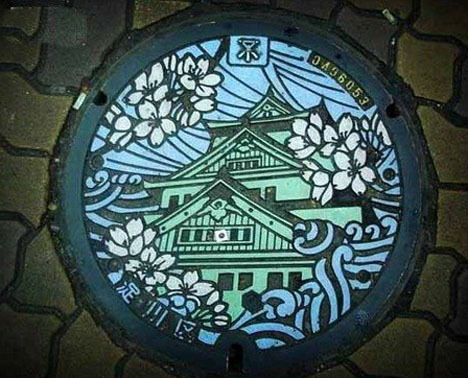 Here are three examples of strangely legal urban street art from artistic Japanese manhole covers and creatively painted American circuit boxes to downright bizarre Russian street lamps. 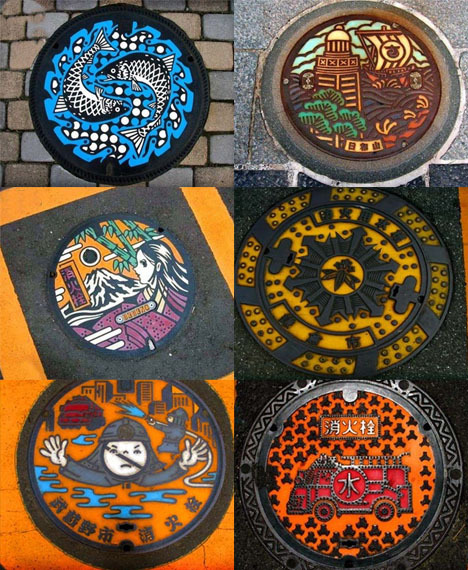 Manhole Cover Art: in most cities you probably don’t notice the presence of manholes in the cacophony of visual noise that surrounds you, making these painted and embossed Japanese versions a vivid exception. However, there are creative manhole covers all around the world, though some are more subtle than others, many of which are collected here. Circuit Box Art: circuit boxes are ubiquitous in most urban settings, an object in the way and often an eyesore. 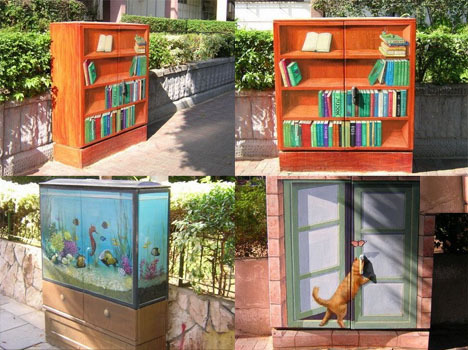 Instead of leaving them plain and grey, why not paint them with vibrant colors to shock or amuse passers by? From a distance you can be sure that some people are fooled by the clever illusions illustrated in these images. 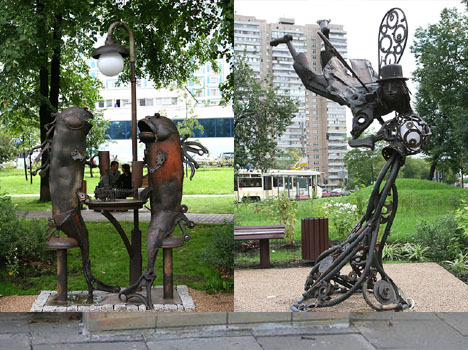 Lamp Post Art: lamp posts are another inevitability of urban living. In many cities some lights are at least given an elegant flare and some elemental decoration, but these Russian examples take things to another letter. 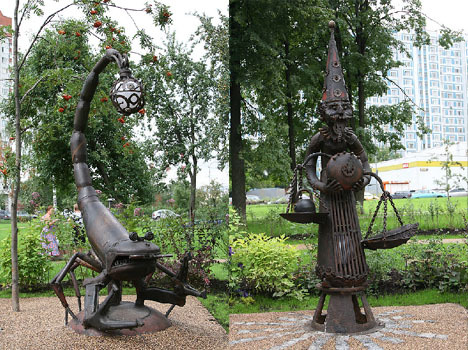 The four shown here are just one part of a larger collection that plays on (though humorously twists) the classic signs of the zodiac. 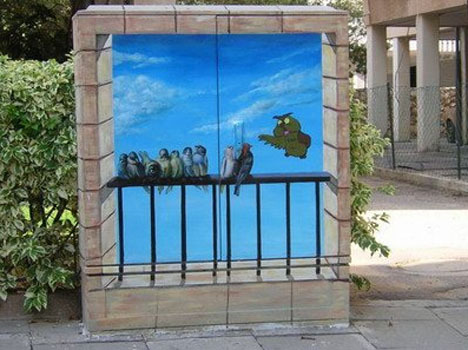 Click here for even more unusually legal street art.